Father's Day Breakfast Ideas - So Festive! 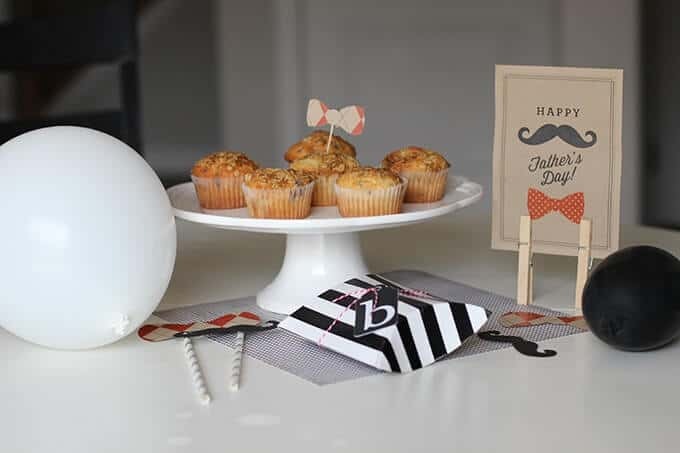 Cute Father’s Day breakfast ideas. What do you do when it’s midnight the night before Father’s Day and all the grand plans you had aren’t a possibility? I don’t know about you, but Father’s Day always seems to creep up on me before I can ever get around to executing my plans. In some ways, I’m sure it’s okay because my husband would probably care less about fancy decorations or elaborate gifts. But, I still wanted to make it special. 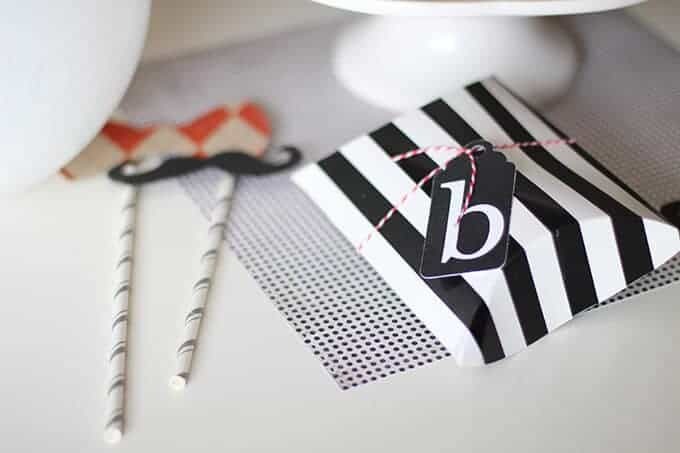 So I went to my party box and pulled out a few things I could round up: balloons, some Father’s Day printables from a few years ago, some patterned paper, a striped gift box, and straws. I wanted it all set up so that when he came down to breakfast on Sunday morning, it would surprise him. It was simple and I threw it all together while the muffins were baking. (If I was a really good wife, I would have made them warm, from scratch in the morning.) But instead, it was from a box and ya know what? It was just okay. Sometimes even simple celebrating can make a huge statement. He was super surprised to come down to the breakfast table and find a little party waiting for him. It was a great start to our day.